Tiger Woods made a lacklustre start to the Northern Trust Open on Thursday, carding a level-par 71 to leave himself well off the early pace in the opening leg of the FedEx Cup Playoff series. 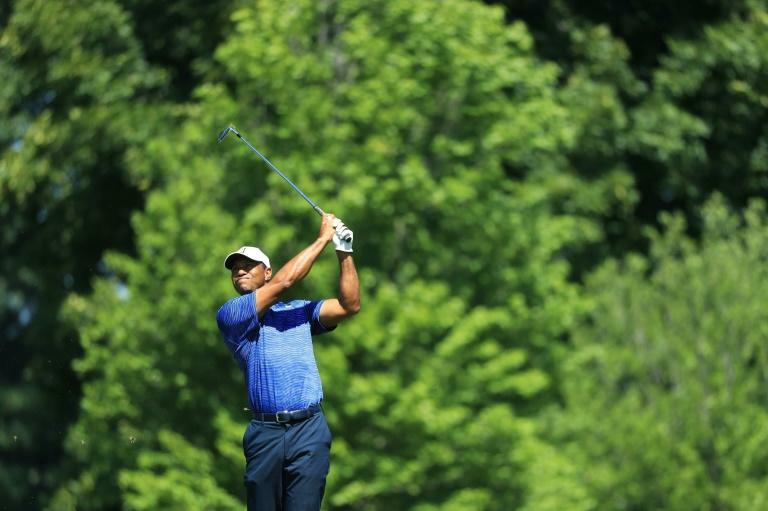 Woods, making his first appearance in the postseason in five years, made two birdies and two bogeys as he struggled to get to grips with the Ridgewood Country Club layout in New Jersey. The 42-year-old former world number one, fresh off a second place finish at this month's PGA Championship, is looking to cement his claim to a place in the US Ryder Cup team. Woods was five adrift of early pace-setters Kevin Tway, Jamie Lovemark and Vaughn Taylor, who were all in the clubhouse on five under. Meanwhile Woods later confirmed details of his winner-take-all $9 million duel with Phil Mickelson which was announced on Wednesday. The two veterans will face off in a head-to-head contest in Las Vegas on November 23 in a pay-per-view game which will see the victor pocket $9 million. Woods on Thursday spoke of his delight at setting up a duel which is being billed as "The Match", even though Woods and Mickelson are several years past their peaks. Woods has not won a major since 2008 while Mickelson has not won a major since 2013. "We're able to showcase golf at a different time and different platforms and I think this will be fun," said Woods. "It's 18-holes, so anybody can win an 18-hole boat race. We're going to have fun doing something that's never been done before." And Woods also defended arrangements for the game to be screened only on pay-per-view television. "How many times have we all purchased fights, whether it's MMA or it's boxing, whatever it may be. We all purchase those fights," Woods said. "As I said, it will be different. It's fun to do something different in our sport and something that's never been done before."